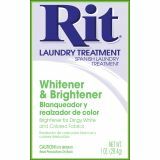 Rit Whitener & Brightener Laundry Treatment - RIT-Powdered Fabric Dye. 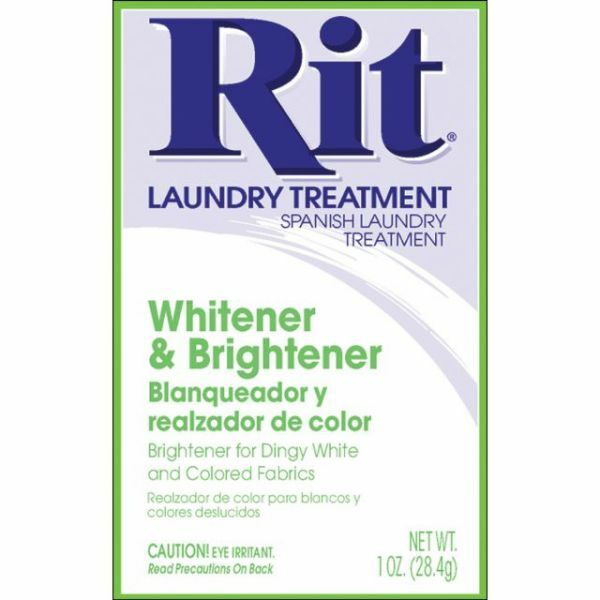 This package contains one box of dye or other fabric treatment. Enough for approximately 1 lb dry weight or 3 yards of medium weight fabric. Conforms to ASTM D4236. Made in USA.